Jul.10.2015Coming to Maple Grove Raceway! If you’ve ever thought that racing a dragster in side-by-side competition sounded like a thrill… then there is only one place to go… Frank Hawley’s Drag racing School! On August 25-27, 2015 Hawley’s school will be offering 2 programs at the famed 1/4 mile facility. 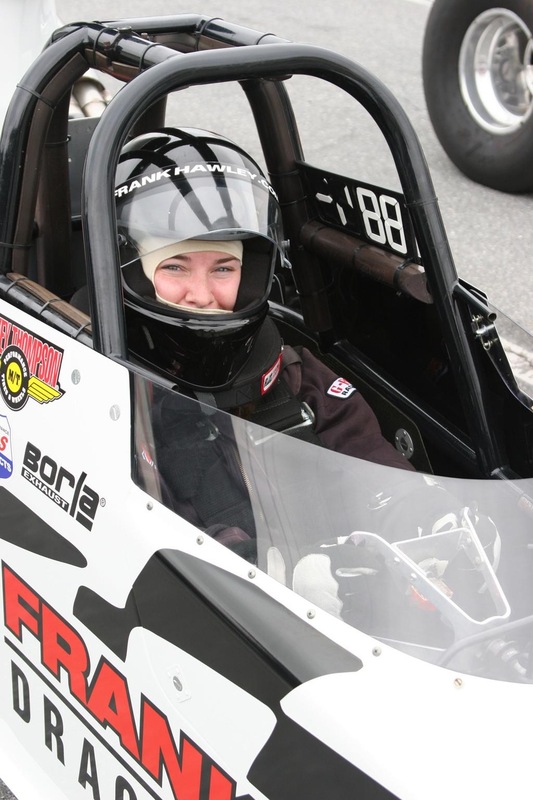 For those that want to experience the thrill of flying down the drag strip behind the wheel of a dragster and competing against other drivers, the school will be conducting the Dragster Adventure. In this program you’ll be making Full 1/4 mile runs in one of the school dragsters in the morning session and going head to head with other drivers in the afternoon competition. It’s the only scho ol that offers a real side-by-side racing program. But if you’re after even more power and speed you might want to try to earn your NHRA competition license in the Super Comp or the Super Gas cars. This is the course that started many of the PROS careers. The Frank Hawley program has no competition when it comes to training winning drivers. Advance registration is required for the programs, so don’t delay. Take a look at the Hawley school at frankhawley.com or call us at 866-480-7223.